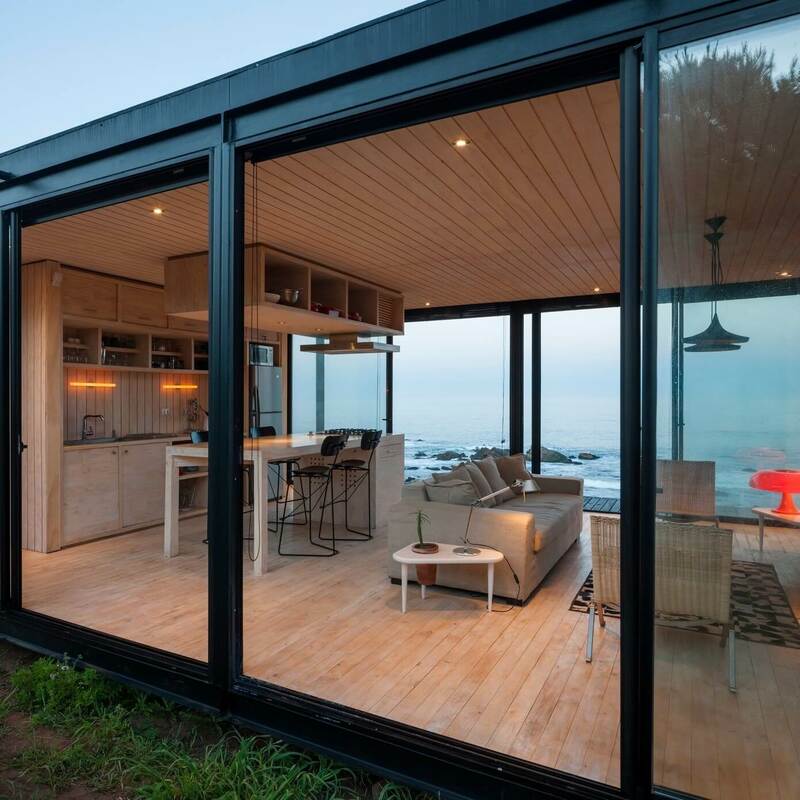 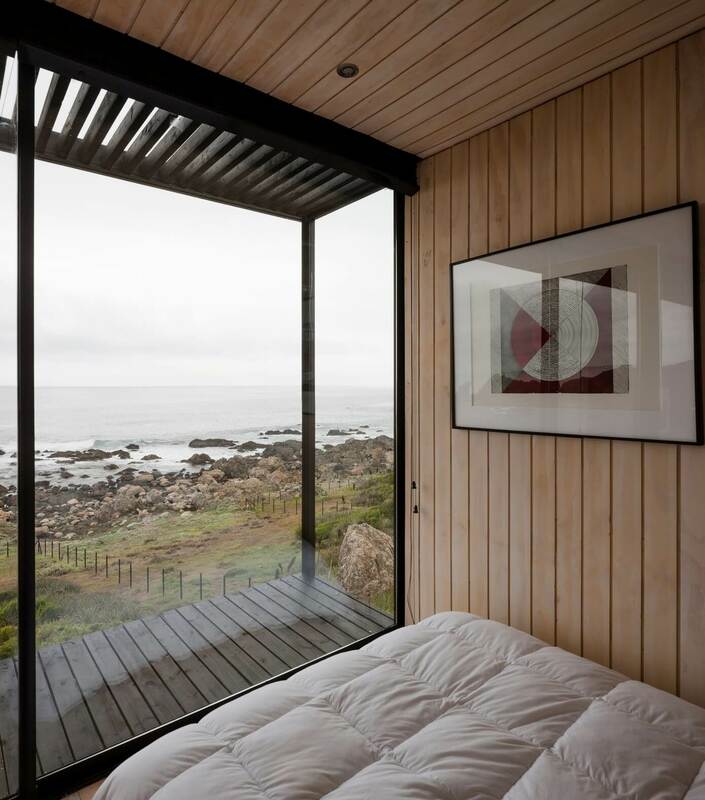 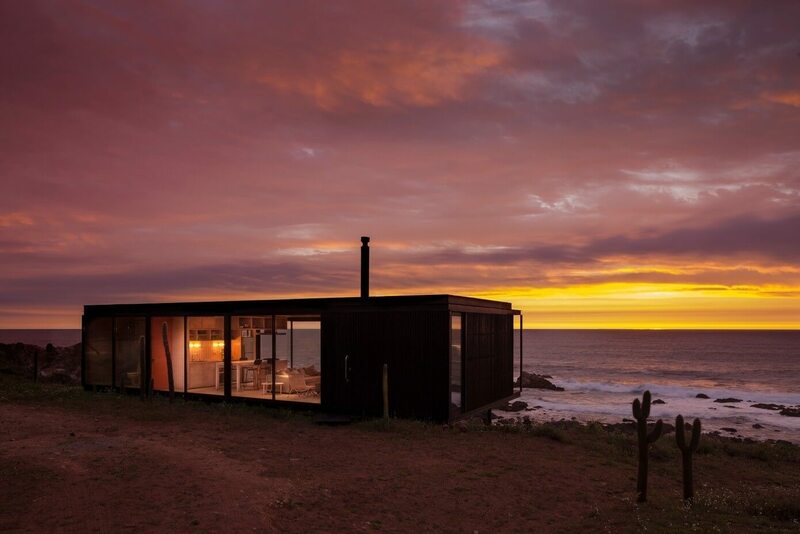 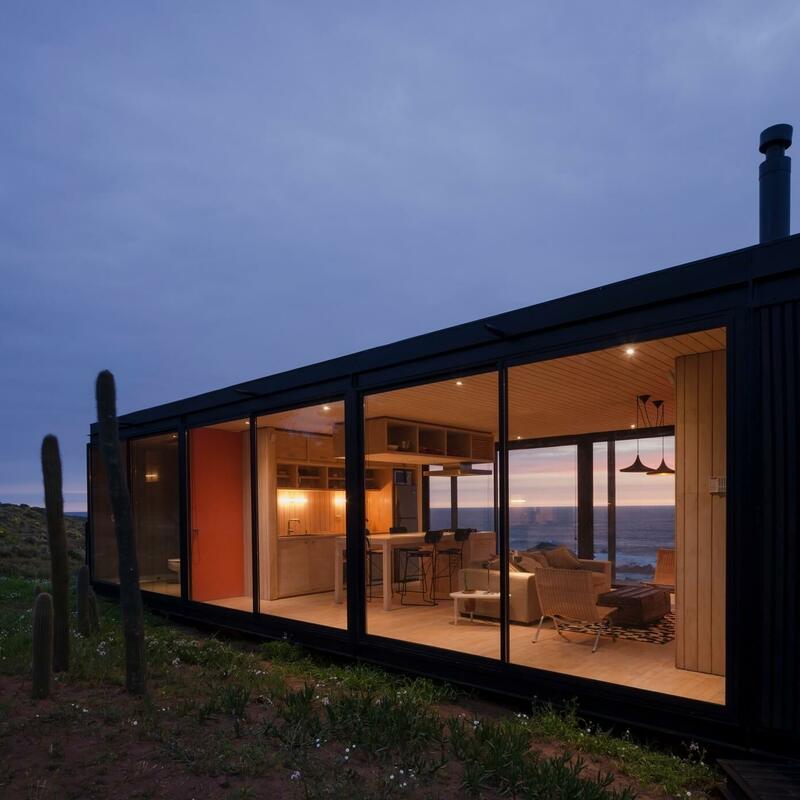 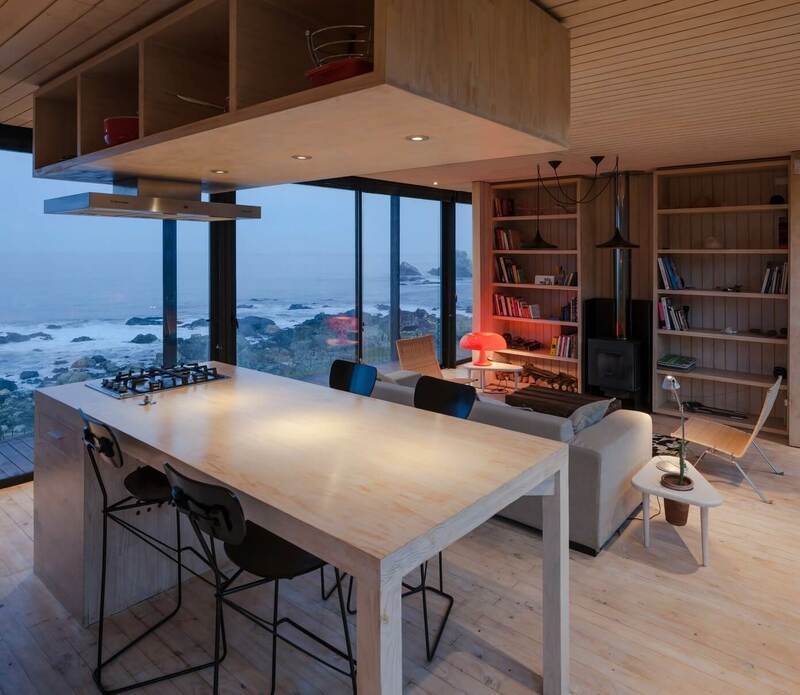 Felipe Assadi constructed a transportable cottage, located in the remote area of Pichicuy, Chile and its signature shape consists of two glass fronts facing nothing but nature. 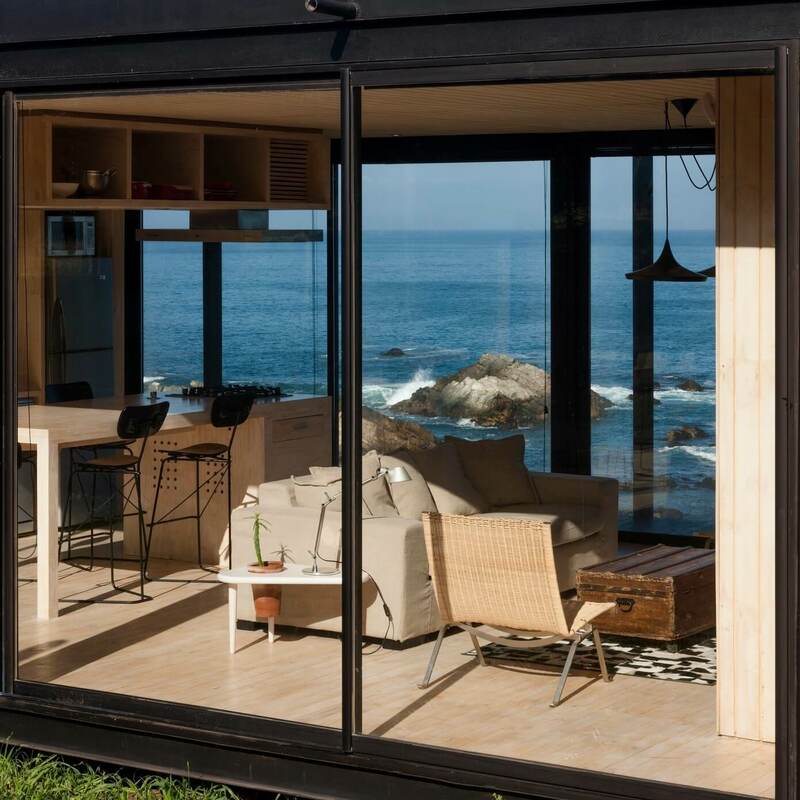 What is even more interesting is that house has: three bedrooms, two bathrooms and one living room build from four identical modules of 3,5 x 6 meters. 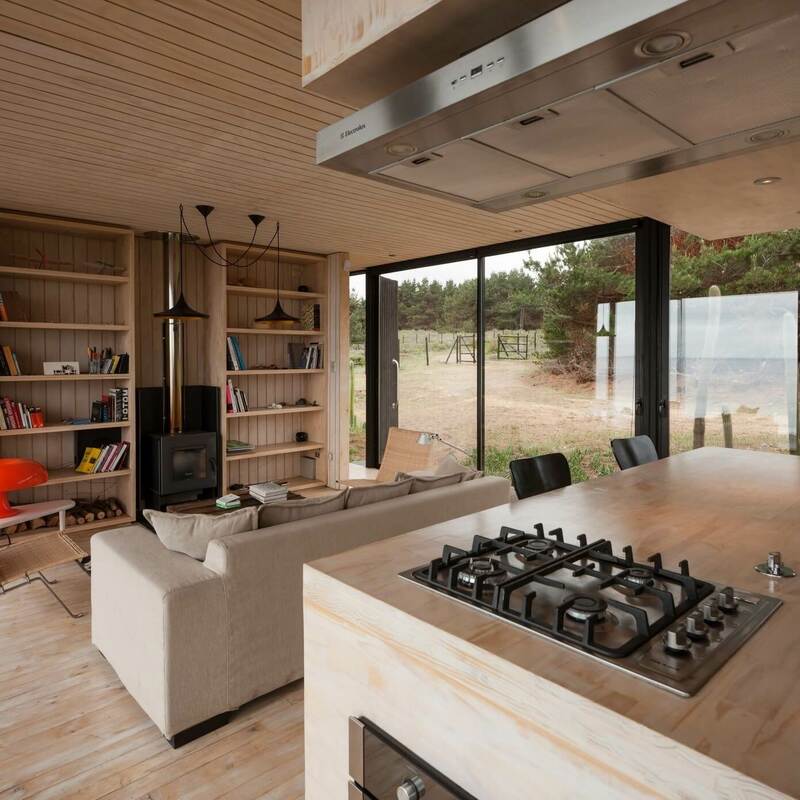 The used materials are iron and pine wood in both exterior and interior. 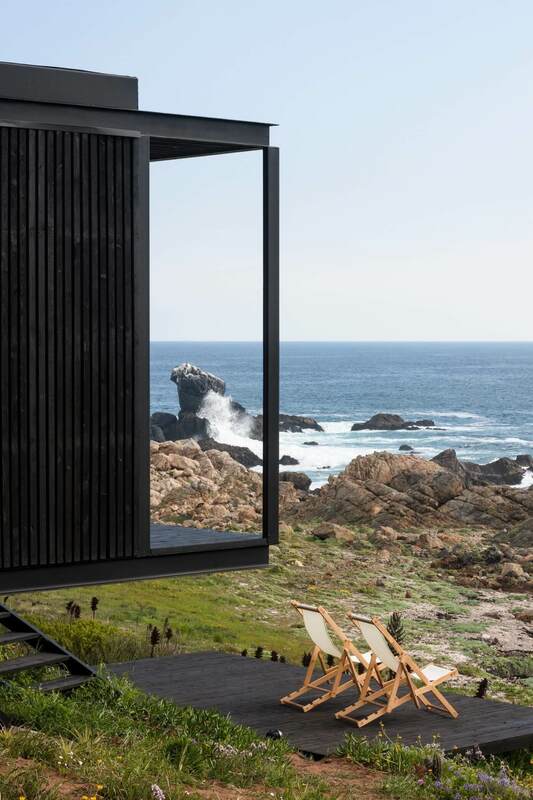 The house is mounted on metal pillars previously arranged in a regular pattern, so that the installation of the modules could even be decided on the ground.